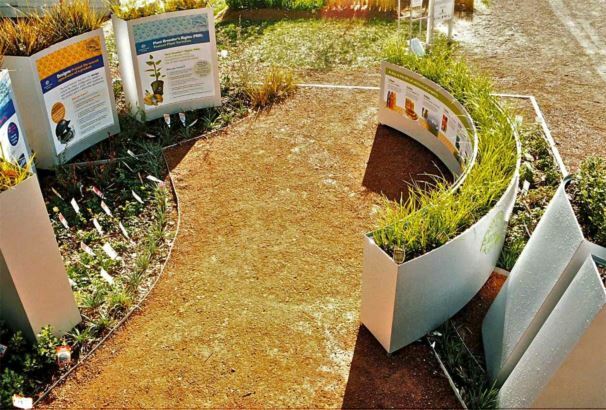 This display garden for Floriade 2007 was commissioned by IP Australia. It won 1st place in the show gardens competition. 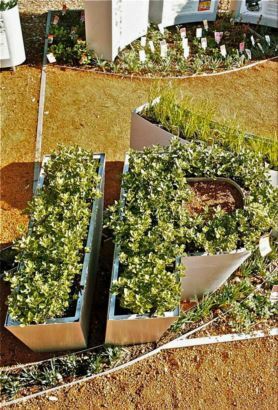 It features zincalume clad curved steel framed planter boxes, ‘I & P’ planters, & steel edging. 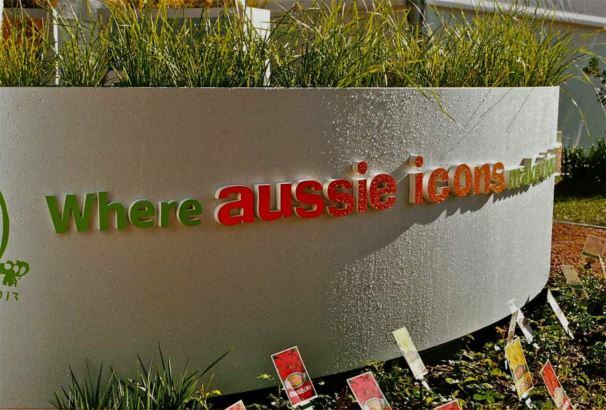 The plants represent a range of ‘PBR’ (Plant breeders rights varieties) sourced by Professional plant supplies, & the signage by ‘Sign World’ & ‘2B advertising’ highlights examples of iconic trade marks, & patents. A pamphlet & ‘competition box’ was also designed & constructed. Steelwork & fabrication was courtesy of Still Standing Sheetmetal & Canberra Gates & Doors. Generous assistance for the installation was given by Custom Made Landscapes.